I dropped into your store today and picked up the Display Port Male to DVI Female Adapter and connected it to my monitor and laptop. This works perfectly - the laptop recognises that this is a separate monitor, allowing me to choose the resolution I want (currently 1440 x 900) and also allows me to extend my desktop onto this screen too. There is no noticeable lag between the two external monitors (the other being hooked up to the laptop via the VGA connector port). So all in all very happy with this item - wouldn't have found it without your detailed specifications listed on the product description on your website. HDMI Right Angled Cable Adapter (Right) + FREE SHIPPING! Take a sharp-right without bending or damaging your HDMI leads! 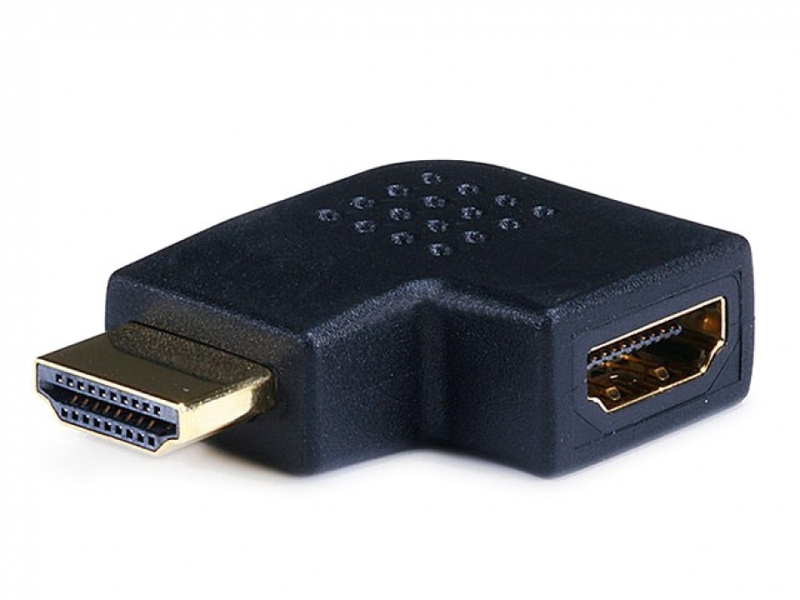 This right-angled HDMI Adapter lets you adapt any HDMI socket, so a HDMI cable can be connected from the Right side. Ideal for use where space is limited, like when wall mounting TVs. Compatible with ALL HDMI cables and versions. This adapter offers a 90-degree 'Right' turning, as HDMI sockets are always positioned with the narrower edge facing downward. Not all equipment is the same, so please double check this is the correct turning for your needs. I was very happy (and impressed) with Cable Chick. I placed the order on Thursday and the goods arrived on Friday. The HDMI switch is high quality and works as expected.